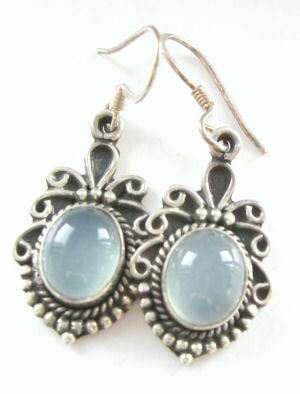 Geougeous silver earrings with wonderful luminous subtle moonstones. The moonstones are a super large 12mm oval stones and are really milky luminous colour just like a moonon a clear night. The stones are set in silver with beautiful fancy patterned silver all around.